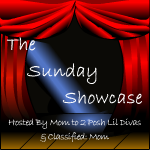 We are currently working on our Mommy & Me ABC units. This was our first week on letter B and bears. This was his desk set up for the week. His white board had some bear cut outs (in the printables which will post next week), some alphabet magnets, and his fridge phonics set. The mini pocket chart (from Target) has his sandpaper letters and some bear flash cards. His shelf had a fabric B, the B from his floor tiles, an B minibook, a bear book I made him, the bears from his various toobs, his peg letter B, a stuffed polar bear, a finger puppet, and the bear from his alphabet zoo. Above I hung some bulletin board letters, some bear flash cards from 1+1+1=1, and two bear crafts we did (see below). As you can see, we had no shortage of books for the book bin this week! We had some on the letter b and a bunch on bears. He loved That's Not My Bear and I like a great bear cub series we have that includes Panda Bear Cubs, Black Bear Cubs, Grizzly Bear Cubs and Polar Bear Cubs. We also read some great fiction like Moonbear and Going on a Bear Hunt. I put a tracing page in his activity center. He still needs a lot of help tracing, but I want to make sure we do it on a semi-regular basis until it clicks for him. This box had some pictures of mothers and babies of different kinds of bears (Printable Here). Xander did a pretty good job of matching them up. For an added twist, we also matched up his corresponding toob figures (the four bears are from the Wild Toob, the Zoo Babies Toob, and the North American Wildlife Toob) . This box had some little bears with colored shapes on them and a Shape Caves page. 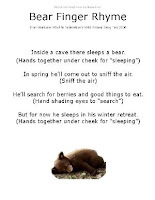 The idea was for him to match the bear's shape to the correct cave. Apparently I have to make the bear climb his arm every time he gets one right. This box had five bears of different sizes. He can find the biggest and the smallest, but struggles with the in between. Number cards and the corresponding number tiles. (I also uploaded some number tiles here you could just print and laminate). We did 0-5 this week week. This week he was more interested in playing with the number tiles than matching them up. Oh well, it is his school time, however he wants to use it. Play dough is always a big hit around here. He used his lowercase b dough stamp, an uppercase B cookie cutter, some bear cookie cutters, and his dough stamping page. One of these days I will get around to making my own play dough again! 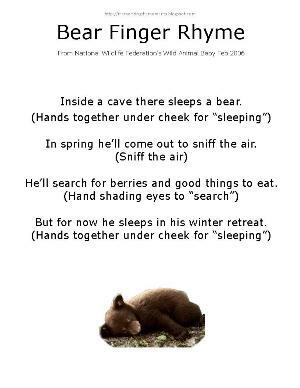 I typed up this finger rhyme from one of our old National Wildlife Animal Baby magazine. He LOVED it. I don't know how many times we did it this week, but he loved being involved in the actions! This box had the bear from our Big Button Fun set. Because there was only one piece on this side, I also included the corresponding buttons for the reverse side, which happens to be a giraffe with nine buttons. Our craft this week was super simple, just some snow paint and some bears cut out of card stock. For the brown bear I let him sprinkle on some cinnamon and sugar for extra texture. He loves seeing them on his wall. Reading Panda Bear Panda Bear with his Tag Jr. Eating Teddy Grahams with pumpkin dip. Playing with Magnetix and making letters. He has a lot of fun with these, but needs supervision to make sure he doesn't stick the balls in his mouth or ears. For more Bear ideas you can check out my Bear Pinterest Board. HOW FUN!! The paint looked like a blast! And the magnetix! I gotta add those to our wish list!